I don’t think I would be able to stick to any “X games in Y time” kind of plans. I’ve found that writing about games on this page after being done with them is a great feeling, so I’m more inclined to keep using BLAEO as a log of sorts. Looking at other people’s posts I remembered that one of my resolution for my 2018 on BLAEO was to keep track of games backlogged and played to make a proper balance at the end of the year. Sooo… In the past couple of months I’ve (sorta) come back to having some time to play, so I’ve taken down around a dozen games. 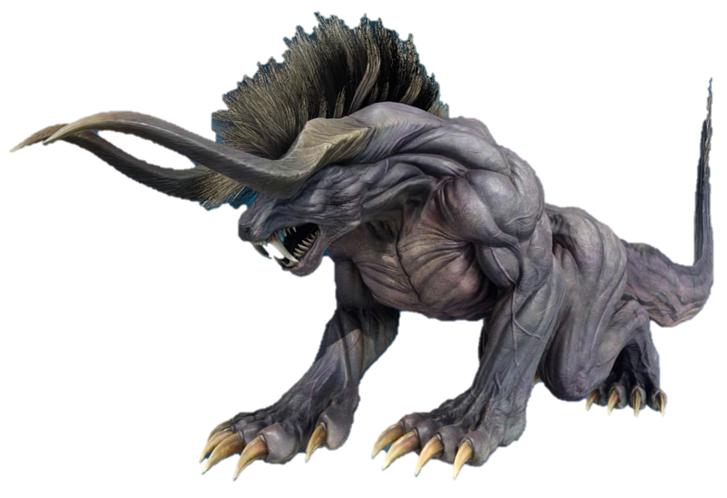 Still, I hope plan to have more free time early next year to get more slaying done, and in the meantime I’ll keep nibbling at the beast whenever I can squeeze some gaming in. In my previous update I mentioned the fact that I was looking forward to going back to finishing The Red Strings Club, and boy it did not disappoint. I could talk about the gorgeous pixel graphics or the amazing soundtrack, but what absolutely steal the show are the storytelling and the themes. The vast majority of the game's mechanics pivot around its dialogue system, and your choices definitely do matter in shaping the narrative. I don't think I've ever found myself stuck so many times at a dialogue choice, carefully weighting the possible options and comparing them to my own ethical and moral stances. If you're into narrative-driven games this is an absolute gem, definitely recommended. After playing it I can say I'm surprised that it stood up to all the hype and raving reviews I saw coming into it, and I'm actually excited to play other games from the developers. The game was a rollercoaster of emotions and unexpected twists, all compressed in a package that while a bit clunky at times still puts to shame the tired Telltale (RIP) formula seen in so many games from this particular "choices matter" genre. I don't mind horror games. I like "found phone" games. Games with cheesy FMVs are my guilty pleasure. Based on those 3 sentences and on the fact that I replayed the game multiple times to 100% it you might guess I liked the game, but I can't say I did. The main reason for that is the overuse of jumpscare attempts, with the seeming intent to make you drop your phone on the floor by startling you with sudden blaring noises, strong vibrations and fullscreen creepy images. Needless to say most of those effects are lost in the PC adaptation I played, with the vibration replaced by sound and the "fullscreen" images only appearing on the small portion of your screen taken by the virtual phone you interact with. Mike Bithell's Thomas Was Alone was a critically-acclaimed mix of narrative and platforming gameplay. A few years later, Bithell does away with gameplay completely, presenting a dialogue-driven narrative that is short and straight to the point, only taking 1 to 2 hours to paint an interesting world without having your character ever leave its seat in a subway car. The ending was maybe a little bit disappointing, but the journey there was still worth it if you're into narrative games. After the disappointment I had with SIMULACRA, here's a Spooktober game that does horror right, with hardly any reliance on jumpscares and a focus on creating a creepy and disturbing atmosphere. The game has a nice mix of platforming, puzzling and exploration though a set of 5 long levels each inhabited by a monster. While I didn't love the controls which were occasionally unresponsive - especially trying to grab stuff - the issue didn't detract too much from the experience, which was engrossing all the way to the end. It doesn't rely on trial and error but you're still expected to die quite a bit. Checkpoints are plentiful but sometimes a little too spaced apart, meaning that I had to replay some 2ish minutes-long sections several times because I was messing up right before the next checkpoint. I feel like this should have been right up my alley but instead, at least for me, Burly Men at Sea fell right on its face. Burly Men at Sea is a choose-your-own-adventure game with just 3 "choices" to make during each story, which at the end loops you back to the start, expecting you to embark on a new journey. After the first couple of rounds you realize that you're mostly going to have to sit through the same few scenes over and over just to reach the point where you can make a different choice. 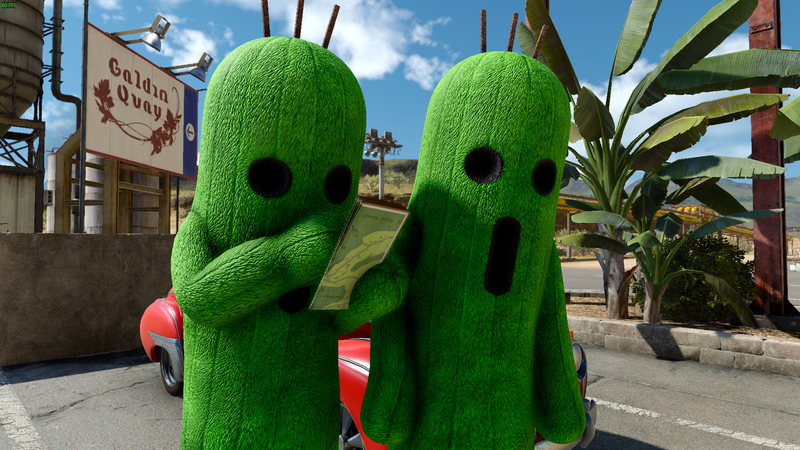 Many multiple-paths games do that, but they usually include a skip or fast-forward option. That feature is missing, and sorely missed, in BMAS, making it a chore to experience it fully. Everything feels sluggish, with glacial walking speed, unresponsive interactions and so on; I'm not sure if I should blame an incompetent adaptation from a clearly touch-oriented interface or a willing attempt to mask the fact the game doesn't have much to offer besides the neat aesthetics and the occasionally humorous dialogues. I don't know if I'm being too harsh but I kinda regret having spent the time replaying the game to completion, expecting a payoff that didn't really come. I did manage to take down a couple of SG wins early this month and I started playing 2 more in the time not sucked by Slay the Spire my free time, so I hope to report on those in the next update at least. One of the 2 games I started in particular - The Red Strings Club - is what I’m eager to get back into as soon as I’m back in the mood, as it has surprised me so far. I was sold on the game the moment I peeked out of the tutorial cave you start in and was allowed to fly for the first time. AER is overall a pretty average puzzle adventure game with a charming aesthetic and some awe-inspiring moments. There is no combat whatsover: the focus is instead on the exploration of different hidden temples via some not-too-difficult platforming. I'm conflicted about the possibility of recommending Among the Innocent. On one hand I think it's a decent first person puzzle exploration game and the location chosen (South Africa) is pretty under-represented in videogames, making it more interesting. On the other hand it's pretty clear that during development \*something\* happened that made the studio rush the game out with an abrupt and unsatisfying ending that soured my perception of the game. Seraph is a 2D platform shooter with some nice ideas ruined by some questionable choices. The first thing that makes Seraph unusual is its focus on platforming and dodging, obtained by doing away with aiming completely (replaced by an auto-aim system). It was a bit hard to get into it at first - as very few games ask you to learn how to dodge stuff right from the very beginning - but after a couple of hours I was starting to string together pretty satisfying killstreaks without getting hit, which in turn increase the challenge of the game thanks to a dynamic difficulty system. The more difficult the game gets, the higher the drop multiplier becomes, meaning that by getting good at the game you are rewarded with more currency that you can then spend to permanently power up the titular character Seraph. That upgrade system itself is one of the flaws that I find with the game: although there's a plethora of options to make your character more powerful, almost all of them are merely small percentage increase of stats (e.g. +2% damage with pistols) that you'd be hard-pressed to even notice during gameplay. Another flaw is in the level design: it gets pretty repetitive pretty fast due to the fact levels are all procedurally generated (meaning that they never feel cohesively structured or interesting) and partially because there's a very lacking graphical variety in the "skins" used for said levels - they all look mostly the same. A short and sweet walking simulator with hardly any walking, as the entirety of the experience is contained within (you guessed it) Marie's room. People in the forums and the reviews seem to think this has a Life is Strange vibe to it but I can't really confirm as I've only played 1 chapter of it (I should really get back to that). March, also known as “the month that disappeared thanks to Final Fantasy XV and Slay the Spire”. I really liked the first game released by Osmotic Studios so I had high expectations for the sequel. I was a bit puzzled when they revealed there were only 3 episodes planned (compared to the first game’s 5) but I was weirdly reassured when I saw the game’s price was still 9.99, almost as if they were stating “yes, we are confident this shorter game will still be worth just as much as our previous one”. After playing it, I’m not entirely sure I would agree with that. The big theme of this second game (and what much of the marketing effort from Osmotic focused on) is the concept of the creation of fake news and how they can be used to mislead and manipulate the public opinion. It goes without saying that the new Influencer tool goes hand in hand with that, and using it is just as awesome (and terrifying) as it sounds. I liked the overall message they were trying to go for, a warning about the way stories and facts can be presented and manipulated to create and/or fit a narrative. It’s a shame that they didn’t quite deliver a 10/10 execution, and it makes you wonder what went wrong, if it was merely a lack of funds or if they ran out of creative juice at some point during development. Orwell: Ignorance is Strength feels incomplete and a bit of a step back: the scope of the game is narrower, the stakes are not as high, you get to investigate and know fewer and less interesting people, the voice acting is utterly terrible and the ending feels like the game just ends too soon, without managing to engage you emotionally or making you feel like you had an impact or as much agency and you would have liked. Still, I would still like to see more games in the series, as despite all the flaws Orwell: Ignorance is Strength is still a decent game and I think there’s a lot of untapped potential for future episodes. 3 of my friends and I had a small dream: just getting in a car and going on some adventure for a couple of weeks, with no destination. That dream ended up never becoming reality, but it was what attracted me to Final Fantasy XV and what pushed me to jump on it right away, despite the fact I very rarely buy games at launch (the sub-30€ offer GMG had was also part of the reason, it was too good :D). I wrote and deleted entire paragraphs and I'm not sure even multiple pages would be enough to put into words how I feel about it. I could spend hours focusing on complaining about the crappy magic system; the disconnected pacing of the narrative; the important plot points glossed over or hidden in a DLC episode or in the movie or the animated series; and so on. All of that would be... pointless. I don't want to convince anyone to play the game as I am aware that it's a "love it or hate it" one. I just want to say that I greatly enjoyed my time with it and that the overall story and world they've built are among the best in the series, even though the narrative is delivered across multiple pieces of media and in a sometimes confusing manner. If you end up picking up the game at some point, do yourselves a favour and watch the animated series (it's less than 1 hour long) before starting, then the movie Kingsglaive after the end of Chapter 1 (you could watch it before too, as it doesn't really contain spoilers). Those two give a lot of information that is sadly not explained quite as well in the game by itself. I was half-tempted to just link this 45 minutes long review of the game and calling it a day, just commenting on how much I agree with a lot of the points that are brought up. One of their quotes is a fitting way to close: "Final Fantasy XV is probably the worst game I've ever loved". The month started with 2 more games for the monthly challenge, Tacoma and The Norwood Suite, played again with a still anonymous sheep. I was really glad to see both of them when they popped up in the Monthly, as I had both of them wishlisted. Tacoma, from the creators of Gone Home, felt like a straight-up better version of the latter, with a really nice setting and a lot of characters that you get to really care about. It’s not going to change the mind of anyone who’s not already into Walking Simulators, but for those that like them it’s definitely a good way to spend a couple hours. The Norwood Suite is harder to recommend, not because I didn’t like it but because I believe the completely surreal experience of this game would be very hard to stomach for most people. I liked it enough to actually look into the dev and their previous work (which seems to be a less-refined free game with a similar style). Holy Potatoes! We’re in Space?! was a bit of a weird one for me: I saw it pop up in a bundle and I just thought “even if it doesn’t seem like my usual cup of tea, I have to get it and play it right now”. Maybe it was the space cat, who knows! I just know that I ended up sinking 18 hours into it and I had a lot of somewhat mindless fun. I wouldn’t want to play any game like it any time soon but it was a nice little obsession for a week or so. As you probably could tell from my Rakuen review last month, I have a really soft spot for games like it and Finding Paradise, which I won and played right away. I had high expectations after loving To The Moon but I also felt A Bird Story wasn’t up to par, so I went in rather cautiously. Without spoiling anything I have to say Finding Paradise manages to tie the previous games up in a really nice way while also delivering a beautiful story of its own. Monster Slayers and Slay the Spire fill both a very similar niche, so it’s kind of weird to see them both on the same update post. What happened is that I got obsessed over the idea of Slay the Spire but I didn’t want to jump in this early, as I felt like it was not anywhere near finished and content-complete, thus I wanted to wait a few months. When I saw Monster Slayers in a bundle I bought it right away and sunk several hours into it. While the interface didn’t feel as polished as StS’s it’s still a very valid game and I had fun playing it. Part of the merits go to this month’s great theme and the support I had from an anonymous sheep. What do I even say? Night in the Woods is nothing short of a little masterpiece in character design and storytelling, and I loved it so much because of it. The problem I find in most videogames is that characters seem to be conjured out of thin air just to fill a certain role, and have no complexity or background to them. What NITW does differently is have the various characters hint at past events and experiences, use inside jokes and nicknames to make them and their relationships look real and believable. What's also believable and incredibly relatable is the topic of those events and experiences: this game doesn't have a story filled with dragons and princesses to save but it's simply what happens in the everyday life in Possum Springs; the only demons in the game are inside the heads of the rural town's folks, worried about their debts, an ill relative, the possibility of losing their job and so many other common, down-to-earth fears. My final point is about the attention to detail, with small things like animations and subtle sound cues sprinkled here and there to emphasize some of your actions (one of my favorites is walking on a rope, with your character spreading her arms to keep her balance and short string sounds whenever you take a step). Those really show that a lot of love was poured into this game, making it an absolute joy to experience. Speaking of absolute joys to experience, here comes Rakuen, another game that gets a huge recommendation. Rakuen gets compared a lot to To The Moon and there are definitely a lot of similarities: they're both story-driven games made in RPGMaker with nice music and they make you cry a lot. After playing both I firmly believe Rakuen is my new favorite when it comes to this particular subgenre. 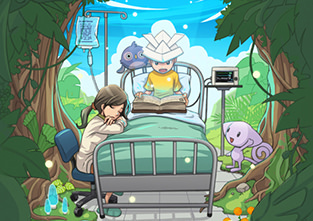 The story is about a young boy that lives in a hospital and reads every day, with the help of his mother, from the titular fantasy book Rakuen. In the book a young child goes on a journey to wake up Morizora, the forest guardian, which has the power to grant his wish to ride on a magical ship and reach the island of Rakuen, where the rest of the child's tribe is. 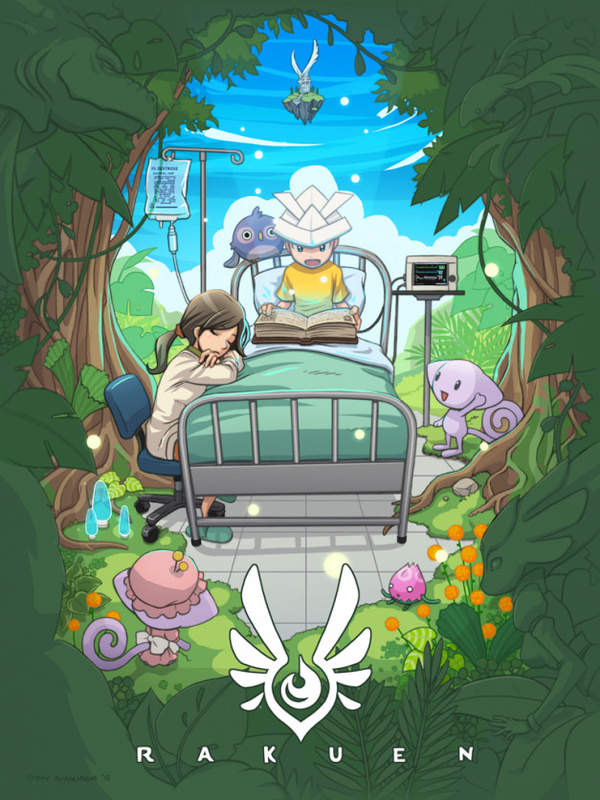 The Boy and his mom decide to go on the same journey between reality and fantasy, and in the process they learn about and help the other patients in the hospital. I cat believe how many cat puns they managed to squeeze in this thing. Unlike most “cat games” on Steam though, this one is actually decent. At its core Cat Quest is an Action RPG game with dozens of sidequests to complete and dungeons to explore. The mechanics are very simple (there’s even a phone version available!) with combat basically boiling down to slashing the enemies and get out of their attack and spell patterns, which are helpfully highlighted before striking. I only played one run of the game, and I enjoyed the trip down memory lane to when I used to play some RPG game books. I used a guide to get through it, which kinda defeats the original intent of them being sort of “trial and error” but I don’t really have the patience to have a lot of time go completely wasted for no fault of my own anymore. I don’t think I can judge the game from that experience, so I’ll just say that the fact that the game shows you a lot of cool characters to start the journey with, but most of them are only available after either buying a dlc or grinding some profile-permanent currency left a bit of a bad taste in my mouth >_>. This very short visual novel was (sort of) recommended by some people here, which were careful to mention that you should keep reading past the first 10-15 minutes to “get” the game. I would have dropped the VN without that warning, but that’s not to say I actually liked it once done with it. I believe the “plot twist” doesn’t add anything to the story but is actually a detriment to it, although I guess it can be plauded for experimenting…? The game has almost 100 levels and the goal of each is to reach a door unlocked by finding the key (a star). There are planets scattered around and you use them to navigate the levels, using them as platforms or making use of their gravitational pull to orbit around. to help things stay fresh. It was a very relaxing and “zen” experience, so much that I was surprised at seeing I played over 2 hours of it as time seemed to fly. A 3D puzzle adventure sort of-platformer with a “kid and creature” interaction à la The Last Guardian and a serious story narrated through allegories. The gameplay has a series of pretty straightforward puzzles and some light platforming to it. What steals the show is the warped and unexpected representation of elements of the world the protagonist Chico lives in, which makes it a joy to keep playing and seeing new whimsical stuff. As the year comes to a close it’s time to look back and see how the backlog slaying went. I wish I had the foresight to keep a full log of my data to make comparisons and graphs like other BLAEO members did, but unfortunately I only know the number of games I’ve taken off the backlog this year. While reading I kept thinking “whatever Harmonia is doing, Planetarian did it better”. While I can’t exactly refute that thought after completing the novel, I have to admit that it picked up a bit of steam in the second half. I didn’t know much going into it but I saw a lot of hype about it. I initially thought that I would end up disappointed by a merely ok game, hyped out of control thanks to word of mouth and its 0$ price tag. Home is Where One Starts… drops you in the middle of a lifeless and non-descript country place, and as you aimlessly wander around you sometimes get some audio when getting near “plot items”. I usually enjoy Walking Simulators, even bad ones, as long as they have a story that interests or touches me in some way; this one definitely didn’t have an interesting story. Weird, dark, gross, funny, disturbing. These are some of the words that can be used to describe Bulb Boy, which at its core is just a pretty average point-and-click game with some action-y boss sections. It’s short and unique enough that I can easily recommend it to people looking for something unusual, despite some shortcomings in the gameplay department. Another short and weird game that was brought to my attention thanks to the recent bundles. The titular Sarah is a girl currently in a coma and the game is supposedly going on in her head (thus “Dreaming” Sarah :P). The game is a non-linear puzzle platformer at its core, with its level design being the absolute star of the show. The devs really did a lot with the “dreaming” theme, giving you a nice amount of differently themed levels which explore Sarah’s mind, with surreal and sometimes a little disturbing imagery which lets you piece together her story. I followed a guide to get through it as there’s a bit of backtracking involved at times, but it shouldn’t be too hard to figure out where to go next even without one. I signed up for the “1$ for 1 year” OnePlay deal and I was wondering when I’d finally decide to start playing some of their games. A friend of mine saw the sequel to “A Normal Lost Phone” in my wishlist (I had removed ANLP when I saw it on OnePlay :p) and they decided to gift it to me, so I guess it was time to tackle both! I actually need to take the word “sequel” back as the 2 games have nothing in common except their name and core mechanics. In both games you are presented with the screen of the titular “lost phone” and you have to look around notes and conversations to find out more about the life of the phone’s owner. The novel idea (which would admittedly work best when playing on an actual mobile device) is executed well, and the stories of the owners are pretty unusual for the videogame medium even though they are told with the subtlety of a sledgehammer, which ticked me off a bit. A mysterious phone game that promises you’re gonna die in real life after making a wrong choice. A bunch of people seemingly kick the bucket after playing and you as the main character decide to look into it. With a plot device like that, which at this point can be considered extremely cliché, BAD END needed to do a lot to stand out and be considered good. 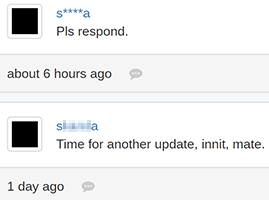 Unfortunately I can’t say it succeeds at doing that, and the result is a simply boring experience. *drum roll* Divinity: Original Sin 2 is finally down! With D:OS2 out of the way I had a lot more time to invest in backlog-slaying, so I got 8 more games done, 4 of which were SG wins. I have yet to take a good, hard look at the games I played this year, but if I had to snap-decide on what the “Game of the Year” was for me, it would definitely be Divinity: Original Sin 2. The original D:OS was carried by the combat but suffered heavily in the story and roleplaying departments past the first town zone. D:OS2 fixes both of those issues, with a lot of subplots and sidequests that you can explore, some of them tied to the premade characters which you can select at the start of the game or recruit as companions later. I haven’t picked up the Humble Monthly the past few months as I don’t want to spend “real” money on games at the moment. I had a weird gut reaction when I saw the unlocks for this month: while I didn’t really want them, there were several that looked interesting and that I wanted to check out. One of those games is of course World to the West, a game in which you control a team of unlikely heroes in a vast world full of places to explore, with the usual array of themes (desert-y, snow-y, cave-y, temple-y, futuristic-y and so on). Each of the 4 characters is pretty well-developed, each having a different set of skills and ways to traverse the map quadrants and solve puzzles. You control one at a time - switching them at totems scattered throughout the world - and you’re often required to combine their skills in order to progress. Totems act as a way to fast-travel too, but a character can only teleport to a totem that they themselves have reached, meaning that any time you need a different skillset to help open a passage or solve a puzzle, you need to switch to the correct hero and travel by foot to your destination. This is both a strength of the game (because it lets you notice the clever tricks devs used in the map design to make them traversable with all 4) and its greatest weakness, as all the backtracking really bogs down the experience. The combat is mediocre at best but it’s not really the focus of the game, and the occasional glitches (character stuck in a fall or unable to move) didn’t hinder the experience thanks to the generous checkpoint system. Despite some shortcomings it was an enjoyable little experience. Pretty much similar to The Room 1, same gorgeous graphics and satisfying progress throughout each level. Unlike the first one there’s less of a focus on a single, evolving “box” full of puzzles, as you’re instead placed in a small room that you’re somewhat free to virtually walk around and check for clues and puzzles. This adds a bit of exploration and a very nice variety of puzzles, which were definitely improvements over the previous iteration of the game. I was challenged to play this a couple months ago but I didn’t manage to squeeze it in my gaming time back then (damn D:OS 2!) so I fixed it this month. I’m glad I did. Contrast is at its core a 3D puzzle platforming game with the unique twist of being able to transform into a shadow and enter any sufficiently well-lit surface, making it a 2D puzzle-platformer as well. The game is very clever with its puzzle design, that very often requires you to change the placement of lights and objects in the 3D world in order to manipulate the shape and size of shadows and make them into platforms you can then use in your shadow form. The OST is great as well, with a nice collection of Jazz-style music that perfectly matches the theme of the characters and the overall feel of the game. The premise of the game is really interesting, as it’s essentially a murder mystery from the unusual perspective of the ghost of the victim. You wake up on a ship with no recollection of who you are, and to find out what is going on you have to possess the various passengers (each with their own “skills”) and “use” them to interact with other passengers and the environment. While all of that sounds great in theory, everything is somewhat ruined by the game mechanics. To progress you end up having to talk about the same topics over and over with the various passengers to make sure you get all the details, which is repetitive and makes you have to backtrack at a slow pace over and over in the restrictive space offered by the ship setting. I think the game is still worth playing for fans of murder mysteries, but I wonder if the story would have been better told in some other form. 3D point-and-click game based in a distant future where humans went extinct and robots slowly evolved to take their place. I can’t say a lot without spoiling stuff, but despite some clunkiness in the controls and some sub-par voice presentation I moderately enjoyed it. I had tried the demo, which piqued my interest, and the rest of the first episode made me look forward to the next one, which is still unreleased and is supposed to fix some of the issues that I had with Ep1. The game’s so weird it’s hard to even describe. It feels random for the sake of being random, switching game genres and even perspectives (overhead 2D, then first-person 3D, then side-scrolling 2D and so on) between chapters. While there’s definitely an audience for this kind of unconventional game, this one is plagued by multiple issues related to collision detection (I had to repeat an entire chapter multiple times due to falling to my death) that make it hard for me to recommend it. For something that I only downloaded as a joke with a friend, it wasn’t that bad. The premise of the story is that humanity has tried over and over to build supercomputers capable of calculating the optimal way to fix the world issues, and invariably the objective answer given by them is to destroy humankind. Kyuu (the supercomputer/android girl protagonist) is tasked by its creator to spend 24 hours with humans before giving her final judgement on whether or not to give a chance to humans to redeem themselves, or to instead proceed with releasing a deadly toxin capable of exterminating human life. The novel doesn’t take itself too seriously and bases its humor on how Kyuu approaches the various situations she ends up with (in a cold, purely logical manner) compared with the humans that she meets during her short journey. Just like September, this month a lot of my time went into my co-op campaign in Divinity: Original Sin 2, so it goes without saying that I have very little to show. If you liked the first one you’ll definitely like this one too. The combat in particular is much improved, with the Paper Mario-styled you-and-a-buddy traditional JRPG combat of Stick of Truth replaced by a party of 4 that you need to control over a tactical grid. Having to constantly think of positioning both offensively and defensively and combo-ing together abilities feels really rewarding and is required in some of the most difficult battles. I considered pulling the trigger on it over the course of the sale, it was just 50 cents after all… And then I won it on SG, so I dived into it right away. There’s something hypnotic about seeing an inconspicuous box open up into a myriad of small compartments and drawers, barraging you with a non-stop stream of small puzzles. I wouldn’t say that having to look closely to check for interactive parts is particularly entertaining but the puzzles certainly are, so I ended up buying the sequel The Room 2 myself before the end of the sale. It’s pretty unique compared to other hacking games, as unlike most of them you play on the “side” of the law, on a quest to solve cases by finding evidence and culprits with the usual mix of deduction and command-line magic. Despite the many meme-y references, it wasn’t bad, although I would not recommend it to anyone other than genre enthusiasts. Did someone say “pathetic progress”? Yeah, I just did. Only 4 notches on the backlog slaying rifle for this month, and one of them barely qualifies. I’m not too surprised by the very little progress, as this September is Divinity: Original Sin 2 month. I backed it on Kickstarter after loving the first one and I was eagerly waiting for it. I don’t think I was that hyped for a game release in ages. I played the first one solo and I honestly didn’t think I would enjoy co-op that much but after trying a co-op campaign with a long-time friend I did a complete 180 on that thought. I’m having an absolute blast! This was a surprise. It’s not the game I see cited whenever someone gives their “top 3 Telltale Games” list (which is almost invariably a permutation of Tales from the Borderlands - The Walking Dead S1 - The Wolf Among Us) but it really took me for a ride. After beating it though, I have to say that I think I liked it despite it being a Telltale game. The setting, the characters and the plot were all great, but in the end it feels really crippled by the usual “almost none of your choices really matter” curse that plagues games from TT. I know it sounds a little broken-record-ish by this point as so many other people have said it, but Sonic Mania is really the game that original Sonic fans have been waiting for ages. While playing I am 100% sure I’ve worn a wide grin on my face multiple times whenever something made me think “oooh that’s clever!”. The only gripe I had with the game was the 10 minutes time limit. I get the whole “gotta go fast” thing the series is based on but it feels really counter-intuitive in a game with much bigger and expansive levels like Sonic Mania. I think they could have just removed it completely or at least bumped it up a little, or maybe kept it only for boss fights. This was an easy 100% to add to the collection (I’m not going back to that addiction, I promise ^^). The game is based on one joke and it gets it out of the way pretty quickly, clocking at around 10 minutes for every possible “path”. Very little to add, it’s entirely based on a misconception that is revealed for what it is at the end but at least it doesn’t drag it out for long. This would have been a pretty run-of-the-mill point and click game without the outstanding presentation. The game manages to introduce a cast of characters and a world full of personality without a single word written or spoken, just using its art, animation and music.